Mobile World Congress 2018 is scheduled between 26 February and 1 March at Barcelona,Spain. MWC 2018 is about to kick start in city of Barcelona. This is the world’s largest gathering for the mobile industry, organised by the GSMA and held in the Mobile World Capital, Barcelona, 26 February – 1 March 2018.The show expects 108,000+Attendees,2,300+Exhibitors,400+Operator companies,10,000+Operator attendees and 208 Countries.Many big and small smartphone and accessory manufactures are expected to unveil their latest technologies and products during MWC 2018. Apart from mobile handsets new wearables and accessories are also expected to be showcased at MWC 2018.Let have a look at what major manufactures might have brought for the great event. 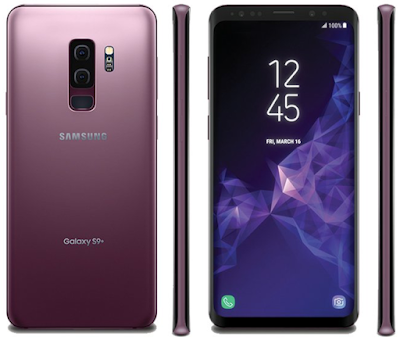 If rumours are correct Samsung Galaxy S9 is going to the biggest eye catcher of the show.Along with Galaxy S9 ,Galaxy S9 Plus with higher memory and larger display may also get launched. Possibility of the Korean giant showing off a flexible wearable concept cannot be ruled out. Samsung had showcased their foldable phone prototype during a closed meeting at CES 2018 Las Vegas. So least one innovation in flexible technology can be expected from them at Barcelona. Samsung Galaxy S9 and S9 plus may launch with 4GB and 6GB RAM respectively.Internal storage likely to be fall between 32GB and 128GB. Screens will be of 5.1 and 5.7 inches. Electronics giant Sony may come up with some premium phones in Xperia XZ series.They may comes with a flagship Snapdragon 845 chipset, 6GB of RAM and a dual-lens rear camera .Sony may choose a A 5.7-inch 4K display for it's latest Xperia phones.An onscreen finger sensor can also be expected. Huawei will be one of the show stealer of the MWC 2018.Apart from Huawei Handsets, they are ready to unveil a handful of products and technologies in 5G, IoT & Cloud . On February 8, 2018, Huawei held a Pre-MWC 2018 Media and Analyst Briefing in London, during which the company called on all industries to work together and go beyond traditional boundaries in the areas of capabilities, connections, business, experience, and partnerships for a fully-connected, intelligent world. Huawei says 'By 2025, 85% of enterprise applications will be deployed in the cloud, and 86% of global companies will adopt AI'.They also stresses on topics like ICT(Information and communication technology )infrastructure,Internet of Things (IoT) and 5G during pre-MWC 2018 briefing.So, let us hope they will come with some innovations in their pockets. Lenovo may unveil next-gen Moto line G6 model considering that G5 was launched during last year.According to the leaks, there will be a standard Moto G6, a Moto G6 Plus, and a Moto G6 Play. Rumours point to a Moto Z3 and Z3 Play with 6in, 18:9 borderless screens at 1080p resolution and another Z3 model may release at Quad HD resolution. Nokia's smartphone comeback story has not been great so far. HMD Global has launched a series of smart phones and feature phones with NOKIA brand name after it's take over,but they failed to launch something new and innovative. 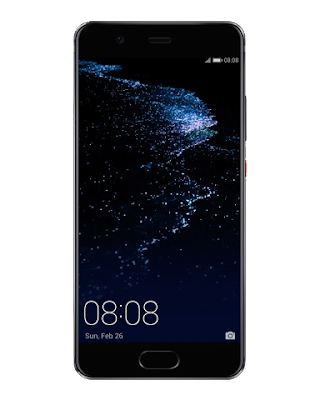 Nokia 8 was the latest in android smartphone series from HMD Global . But we're hoping the Nokia 9 is the phone to finally make the NOKIA brand handset pioneer again. 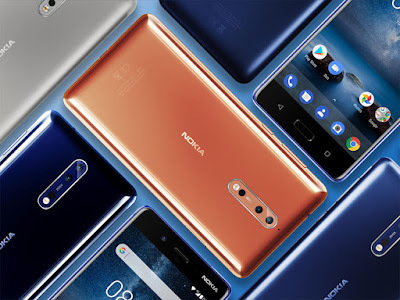 Nokia 9 will be a high-end flagship smartphone by the company .Nokia 9 is rumoured to come with a 5.30-inch touchscreen display with a resolution of 1440 pixels by 2560 pixels.Primary camera may have 22MB pixel .It is powered by a quad core processor and 4GB RAM and 64 GB inbuilt memory.Online leakers suggest that Nokia 9 will have dual curved edge bezel-less display with double-sided 3D glass design. The phone will get a rear-mounted circular fingerprint sensor.It is expected that phone will come with dual cameras on the front as well. Nokia 9 will feature reduced bezels on top and bottom of the screen. Nokia 8 Pro, Nokia 7 Plus, Nokia 4 and Nokia 1 are also expected to be announced at the event. There are speculations that the Chinese smartphone maker will launch the Mi 7 as its next flagship.The official Mobile World Congress site confirms Xiaomi as one of the exhibitors at MWC 2018.However, it is unclear whether the they would launch some new models or just the upgrade to older versions. December 2017, Xiaomi at the second annual Snapdragon Technology Summit in Hawaii announced that the Mi 7 will be the first smartphone to feature Qualcomm's Snapdragon 845 processors.Xiaomi Mi 7 is rumoured to sport a face unlock feature.This would be similar to Face ID feature in iPhone X.For better photography, the smartphone is likely to come with a dual rear camera setup. Asus has confirmed that it will launch a new version of its ZenFone smartphone during Mobile World Congress - the ZenFone 5. It tweeted a save-the-date announcement, with an image of a giant, swirling "5". Lot of companies researching in wearable health monitoring have registered for MWC this year. So we can expect some sporty wearables at MWC 2018. Major companies like samsung,Lenova etc.. are expected to unveil their smart watches at the show.Considering the fact that Android Wear 2.0 launched recently only, atleast some companies may hesitant to launch their product with older version during the show. Who all are not in WMC 2018? Google's mobile device manufacturer HTC. Their flagship, which was reported titled HTC U12 won't be launched during the MWC 2018. HTC is undergoing financial turmoil hence they want to focus on their upcoming flagship device. Apple doesn't usually unveil any of their most anticipated products during any public event. They prefer dedicated private event so that all the attention is on their product.